Weather has the ability to shape our planet. Floods may alter Earth's landscape suddenly and dramatically. Erosion causes subtle changes over a longer period of time. 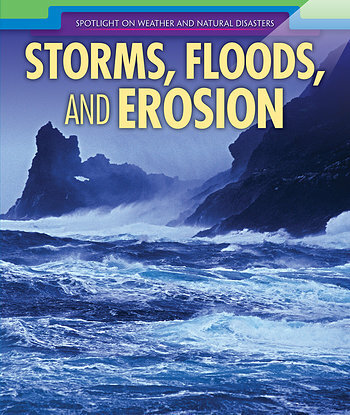 This book explores some of the most incredible forces on Earth, including extreme weather, erosion, and floods. Students will be amazed at how our planet has changed over billions of years, as well as how it has changed in an instant. Full-color photographs and primary sources highlight real-world examples of these forces and their impressive impact on our planet.